D-FW’s four major TV news providers had something of an editorial dilemma Tuesday night. On their 10 p.m. editions, Fox4, NBC5, TEGNA8 and CBS11 had to choose between leading with the death of Barbara Bush at age 92 or an in-flight Southwest Airlines engine failure that caused the death of one passenger and left several others injured. Both stories have significant local angles. 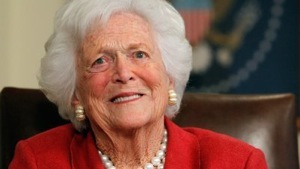 Mrs. Bush, who died at her Houston home, is both a former First Lady and the mother of a former United States President and Texas governor, George W. Bush, who lives in Dallas with his wife, Laura. His presidential museum is also located here. Southwest Airlines is based in Dallas, and Flight 1380 was en route from New York to the city’s Love Field late Tuesday morning before an emergency landing was made in Philadelphia. Passenger Jennifer Riordan of Albuquerque, NM, died of her injuries after being sucked partially out of one of the plane’s windows. Fox4 and CBS11 led their newscasts with coverage of Barbara Bush’s death while NBC5 and TEGNA8 began with reports on the Southwest Airlines tragedy. What was the thinking behind those decisions? NBC5 and CBS11 both offered on-the-record responses. 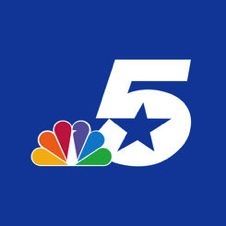 Fox4 declined to comment because the station’s general policy is to not elaborate on editorial decisions, a New York-based spokesperson said via telephone through the usual corporate channels. TEGNA8 news director Carolyn Mungo as usual ignored an inquiry from unclebarky.com on her station’s story play. On my unclebarkycom Twitter page Tuesday night, I posted the respective decisions of the four stations and also said I would have led with Barbara Bush’s death because it was “far more significant on the grand scale of events.” I also asked how others would have played the two stories. Responses poured in, some of them from former or current local media players.